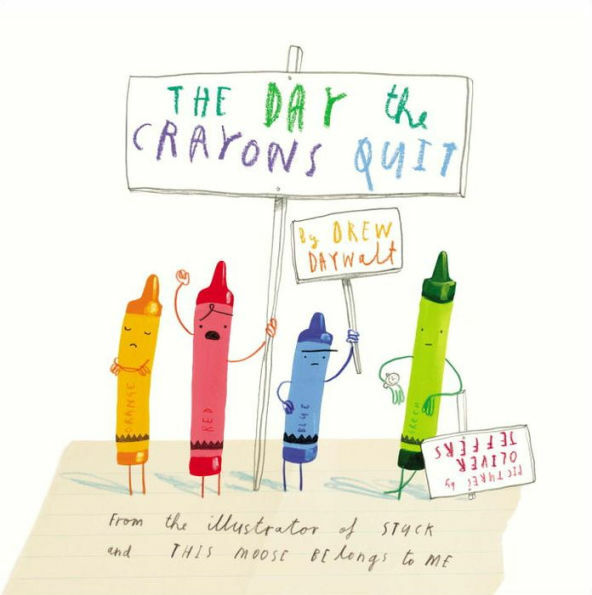 “The Day the Crayons Quit” is one of my favorite picture books. I love the illustrations and the letters that the unhappy crayons write to the boy who uses them to color his pictures. This is a fun book to read aloud to the little color crayon wielding folks in your life. 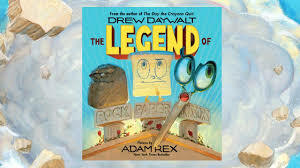 “The Legend of Rock Paper Scissors” is written by the same author as the previous book, Drew Daywalt. This is my ALL-TIME-FAVORITE book to read aloud to my ‘under three foot tall/under double digit age’ group of library friends. It is so much fun to use silly voices for the characters and the illustrations are top notch. It makes them laugh, it makes me laugh and we all need a little more laughter in our lives. 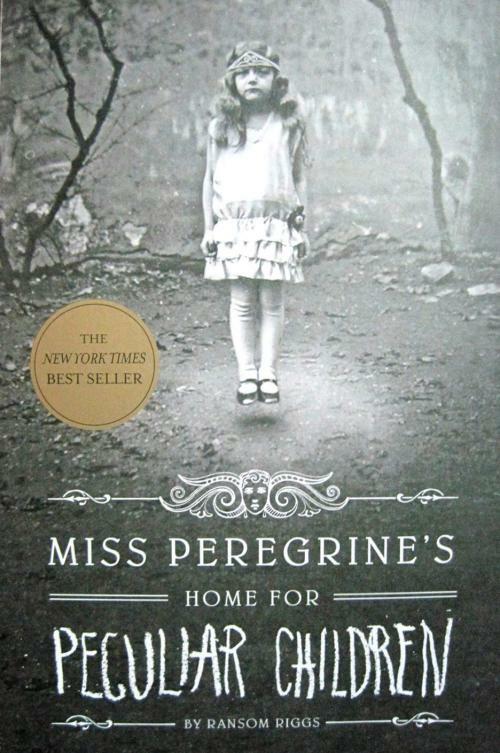 “Miss Peregrine’s Home for Peculiar Children” is one of my favorite Young Adult series. 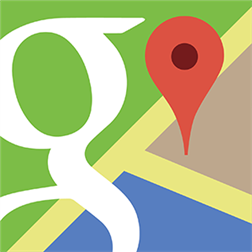 IF YOU HAVE SEEN THE MOVIE…..do yourself a HUGE favor. READ THIS SERIES. The movie is one of the most pale representations of a book that I have ever seen. I almost always think the book is better than the movie, but in this case, it is not just that I am biased as a book lover. The book is a wonderfully rich story with so much detail…you simply close your eyes and visualize exactly what Ransom Riggs wanted you to see as he wrote this book. “The Noticer” is one of those books that will stay with you always and you will probably find your way back to re-read at least once. This story will touch the quiet secret places in your soul…it will inspire hope and leave you with a feel good smile on your face. “The Tattooist of Auschwitz” will run you through a gamete of emotions. This book reminds the reader of the capacity for cruelty the human race posses for and inflicts on one another. This fact never ceases to amaze me. The other thing that never ceases to amaze me: The propensity of hope to keep rising to the top; no matter the circumstance we find ourselves in. This book does not go into overly graphic detail of the atrocities of the Holocaust, but is a testament to the will to survive and is a love story in a place and time that love of any kind felt extinct. Grab a box a Kleenex, shut off your phone, find a quiet place to read. You are not going to want to put this book down. 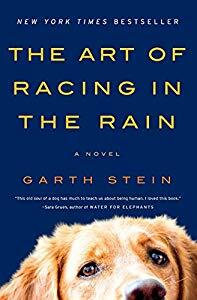 “The Art of Racing in the Rain” is another book that was extremely difficult for me to put down. The narrator takes you through the pages of this book visiting funny bits, bitterly sad bits and bits that bolster the spirit. I warn you, dear reader, this is a Kleenex-required book also, for the sad and happy tears you will spill. “The 5 Greatest Spankings of All Time” took first place in the Short Story Fiction Division of the Texas Association of Authors Book Awards. This is a quick little “must-read” that will have you belly laughing so hard, tears will be running down your cheeks. Re-application of mascara will be a must if you don’t use waterproof… you have been warned. Do not pass this little gem up, you wont regret reading this one. Miss Alicia and Daisy Mae. Alicia has been the director of the Grand Meadow Public Library since 2010. 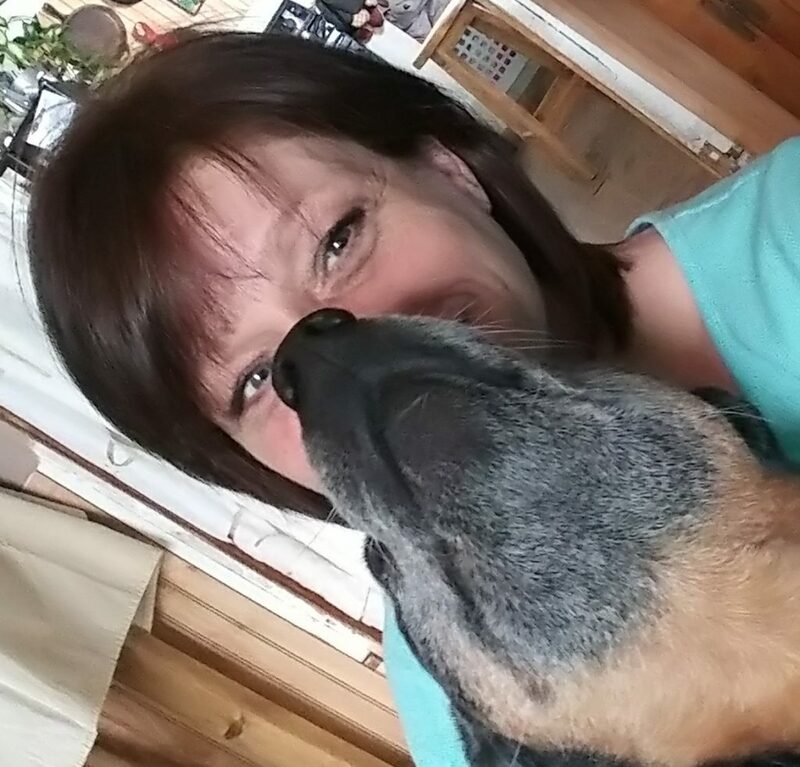 Daisy Mae is a two and a half year old Australian Cattle Dog who loves to play ball and is loved dearly by her human. 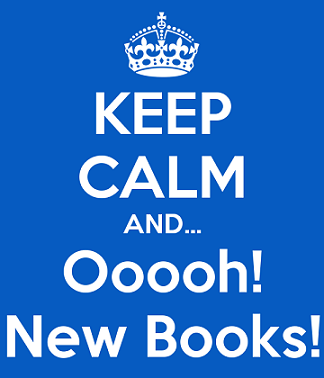 Stop in and check out one of our new books, movies, or audio books! Free! 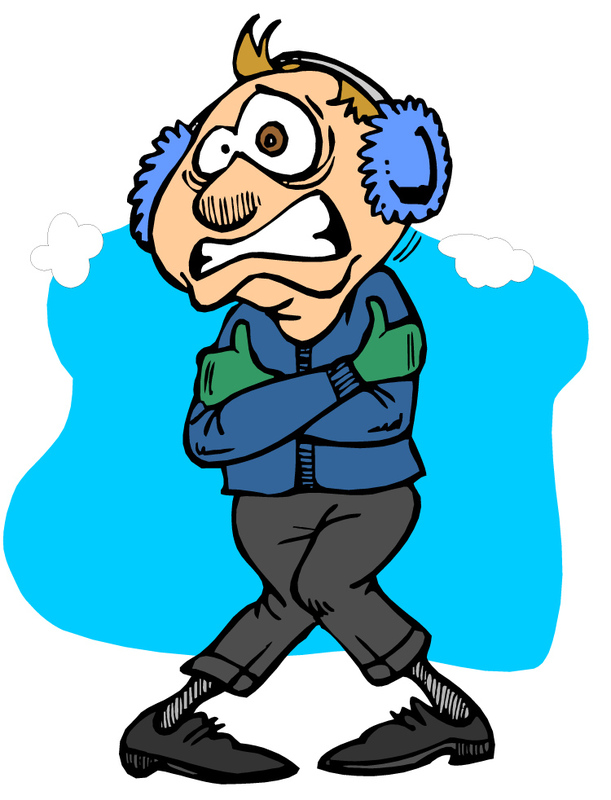 It is the policy of the Grand Meadow Public Library, that if the actual temperature (not windchill temperature) is -20 degrees, the library will be closed. 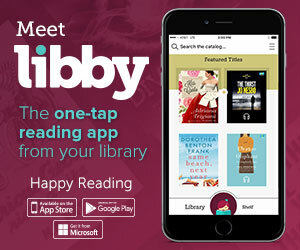 You NEED to meet Libby, your new bestiebestest! You’re Welcome.